Imagine if a Facebook employee freezes her eggs or embryos under the new company policy. One legal question is whether her stored genetic materials are property, people (who cannot be owned), or something else in the eyes of the law. Attorney Steven H. Snyder explains that courts have tried to define the legal nature of stored genetic materials with mixed results. Frozen sperm has generally been treated by courts as pure property (like a book or a table). Like frozen sperm, unfertilized eggs are likely to be treated as pure property. Frozen embryos, on the other hand, have not been treated by some courts as pure property. However, they have also not been treated by the law as full persons. 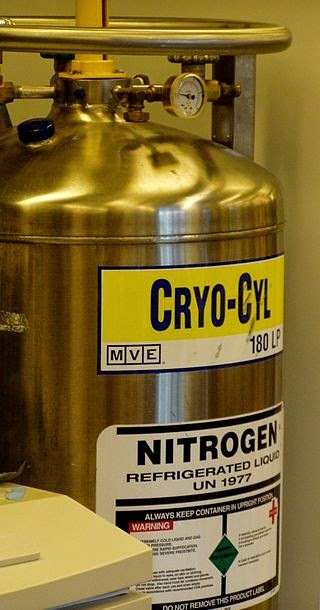 Of importance to estate planning, stored genetic materials may generally be owned and disposed of by the people that provided the materials to the cryogenic bank. So, the Facebook employee in our hypothetical situation would likely be the legal owner of her frozen eggs and could give them away in her will or living trust. An employee in her situation should closely research the company benefit and see how long her eggs (her property) would be preserved in the event of her death. If Facebook would stop paying for storage after a certain number of years, she might wish to pay to continue freezing her eggs in her estate plan, perhaps through a living trust. Imagine that the Facebook employee above froze her eggs, gave them away to her husband in her will, and then died. If her husband later had a child using her eggs through a surrogate mother, the child would be "posthumously conceived," a previously unforeseen concept in estate planning law. Recently, the Supreme Court struggled with the question of whether posthumously conceived children could receive their deceased parents' social security benefits. The Court said such children could only receive benefits if they would have inherited under state intestacy laws, meaning the result could vary depending on the state in which the child is born. States have a wide variety of approaches to the growing number of posthumous conception probate cases. Some states say that for these children to inherit, the parents must have consented in writing to inheritance by posthumously conceived children--otherwise they get nothing. For parents that do consent to inheritance by posthumously conceived children, how long do we wait to divide their property between the children after their death? The number of children in the family could continue to grow indefinitely, due to the miracles of modern science. Some states put a time limit on how long after the parents' death a posthumously conceived child may inherit. In short, the justice system, never known for its speed, is trying to keep pace with rapidly changing reproductive science. Consult an estate planning attorney in your state if you are considering assisted reproduction.